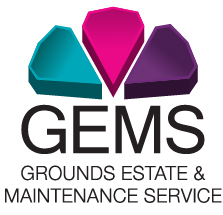 After receiving employment support, Alan has found full-time employment as a Grounds Maintenance Operative with GEMS, Estuary Housing Association. Well done Alan! Alan has been on a long journey in the last 18 months. From being homeless and sofa surfing to moving into a room at HARP Southend before getting a flat with us. He was referred to our employment support service by our allocations team. Alan is always full of energy and was determined to continue to change his life. With such an extensive work history it took some time to put together his CV. He had previously volunteered as a gardener and worked in the building trade, so when a vacancy with GEMS team for a Ground Maintenance role came up, we told him about the role and the support we would provide. At first he was hesitant, however we supported him by helping to write his supporting statement and complete the application form. Alan was able to draw on his previous work experience and his achievements with the support of our employment coach. Alan has restricted visibility, so we also helped him to complete all the online paperwork the role required. Alan was successful at the interview but he then faced another hurdle - getting references. The team went through his employment history and made calls to the employers until they could obtain the two required references. He started his new position on Tuesday 16th October 2018 and we wish him all the best with his new job! “Getting a flat with Estuary felt like winning the lottery, I was overwhelmed with emotion. They have provided me with a secure place to live, somewhere my kids can visit and a place I can call home. As soon as I moved in, I was referred for employment support. They helped me to create a CV, complete application forms, provide access to computers and even brought me interview clothes. Even after being told I got the job, I was supported in providing right to work documents, completing all the paperwork and online workplace health assessment. I am really grateful to Estuary for providing me a home and all the support Jake and Cherish provided. They have given me a new found pride in my life and I can now buy gifts for my children.” – Alan Race.